1. Click on Archived User Stories section. 2. The Archived User Stories section will show all the user stories that has been archived from the particular Kanban Board. 3. 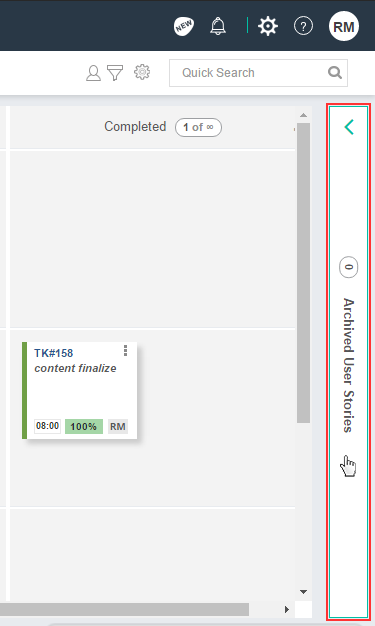 Click on Board name on page Breadcrumb to go back to Kanban Board.